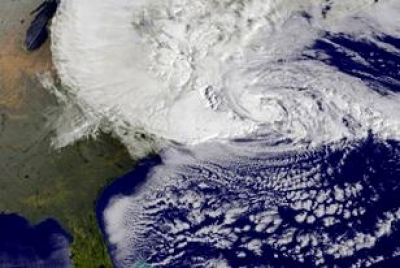 Feb. 21: Lessons From Sandy: Is Philadelphia Prepared for the Next Natural Disaster? Join the Pennsylvania Environmental Council for the February Urban Sustainability Forum as they consider the lessons we have learned from Hurricane Sandy and what will be required to make Philadelphia more resilient to storms, extreme weather, and other impacts of climate change in the future. The past 10 years were the costliest in U.S. history for natural disasters. Hurricane Sandy left 131 Americans dead, more than 6 million without power, and $50 billion worth of damages, making it the second most destructive Atlantic hurricane behind Katrina. Cities along the Jersey Shore and in New York faced property damage, widespread flooding, power outages, crippled transportation systems, and loss of life. These extreme events are expected to grow in frequency and intensity because of climate change. Panelists will discuss how we can use our knowledge from Hurricane Sandy to reduce our vulnerability and manage the risk of building and living in hazard-prone areas through better planning, engineering, and policy.